An essential element of residential landscaping is landscape lighting. Whether it’s indoors or outdoors, lighting is an artistic trick you can add to your landscapes at home. No matter how well-planned and beautifully designed landscape is, most of the time, its main features are not highlighted because of the lack of appropriate lighting, especially during nighttime. You do not want to spend bucks and spend a lot of time and effort for a landscape that doesn’t turn heads. Your landscapes are a vital part of your home. They not only provide a beautiful view, but they can also be therapeutic to your senses as well. Aside from that, landscapes make your home more livable for your family and more welcoming and refreshing for your visitors too. A great way to come up with a splendid landscape lighting plan is to be very acquainted with the whole design and purpose of your landscape. Know what to highlight and which areas go well with certain illumination fixtures. Also, consider the lighting of the other parts of your home. It is nice to have your landscape lighting go harmoniously with the existing lighting layout of your living room or porch for example. Simplicity is key when choosing fixtures and deciding on placement. Beauty and sophistication usually arise from banking on simplicity and less complicated designs. 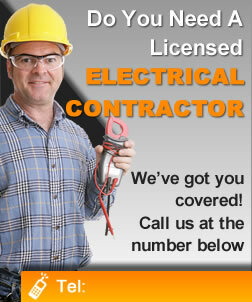 At first, you may hire a well-trained electrician in Columbus, Ohio to do a site visit and check your landscape at home. You can ask them for effective and more sustainable and affordable electrical solutions to install landscape lighting without sacrificing style and quality. With professional help and advice from experts who specialize in outdoor or indoor lighting, in no time you’ll have a beautifully illuminated landscape that will surely capture the attention of visitors or anyone who may just happen to pass by your elegant home.